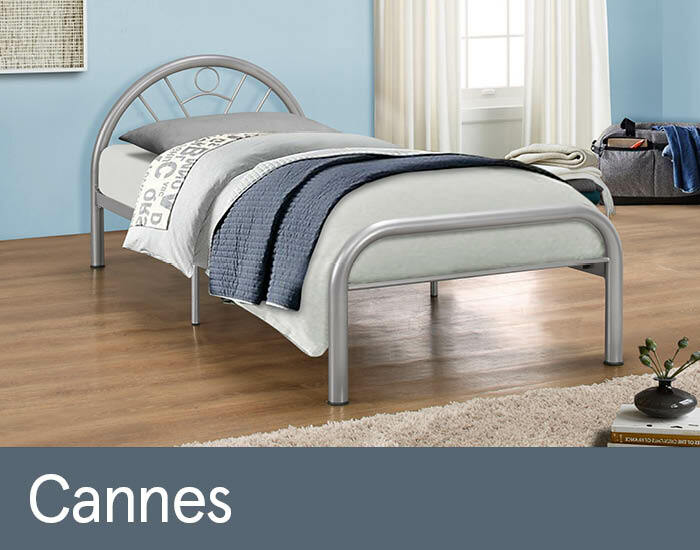 Stylish and contemporary, the Cannes bedstead is great for children and teenagers alike. The modern design makes it ideal for use alongside other contemporary items while its sleek silver colour will look great in a variety of surroundings. The Cannes bed features a sprung slated base that provides a remarkable level of comfort and support, as well as being immensely durable.